1. 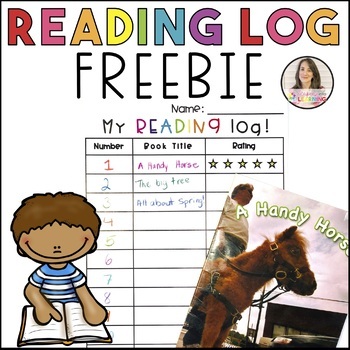 I send the logs home with students when I give them their ‘at level’ readers. I always like to incorporate comprehension skills, so I ask students to write a sentence (or a few sentences) or draw a picture about the story (their favourite part, making a connection, etc). 2. I use these in the classroom and incorporate a sticker system. For example, after students have read a book (either guided, independent or shared), we write the name down. I ask students to do a follow up activity of either writing or drawing a picture related to the story. Students can take part in their learning and their success by putting a sticker/stamp/happy face in the appropriate columns.